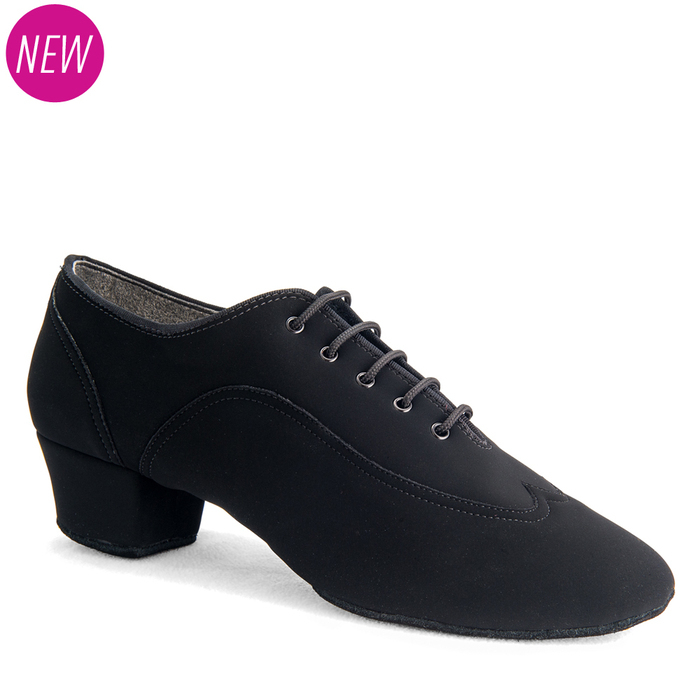 Our innovative ‘Jones’ design is now available in our popular and super-soft Black Nubuck. This ultra-lightweight Nubuck offers incredible flexibility and a soft and sock-like hold for the foot. More cushioning means more support with our all-new foam lining and specially designed gel padding made to take comfort to a whole new level. Developed with the creative input of WDC UK & World Amateur Latin and UK Professional Latin Champion, Neil Jones. Worn by: Neil Jones (UK Professional Latin Champion), Gunnar Gunnarsson (UK Professional Latin Finalist), Zi Long Wang (Hong Kong Professional Latin Champion), Nikolay Govorov (World Ten-Dance Champion), Daniel Juvet (UK Professional Latin Finalist), Joel Lopez (Amateur Latin Champion), Eugen Miu (Denmark Junior Latin Champion), Lloyd Perry (World Under 19 Champion), Danny Wright (UK Juvenile Latin Champion). This shoe is pictured on the 1.5” heel. 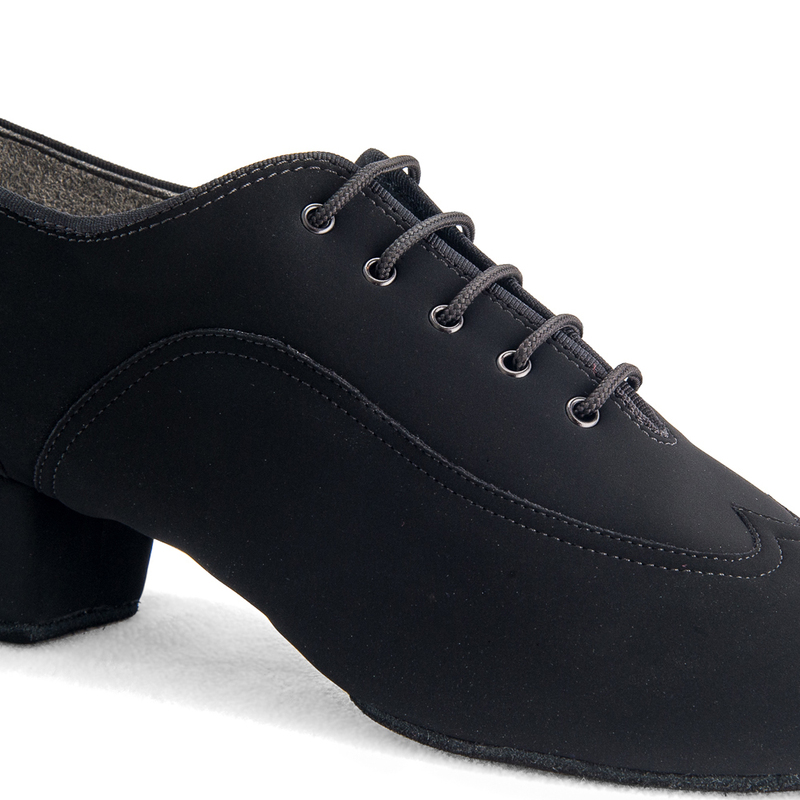 Also available in Black Calf/Black Patent, Black Nubuck/Black Patent and also new for 2016 - Black Matrix/Black Patent. This design is &apos;Made to Order&apos; and will ship within 5-10 working days.